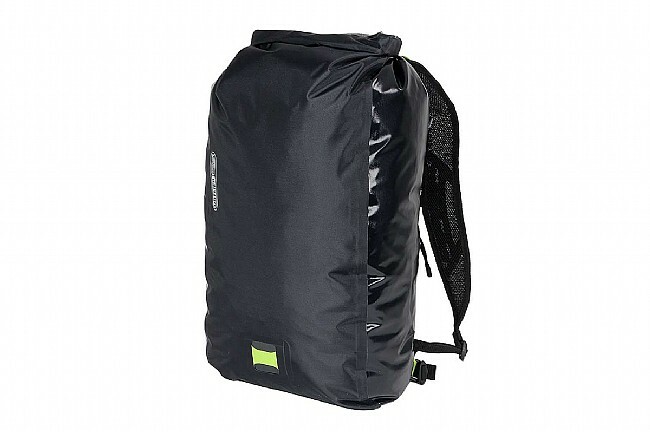 Ortlieb's Light Pack 25 strips their waterproofness down to the essentials for when you need to travel light in wet weather. 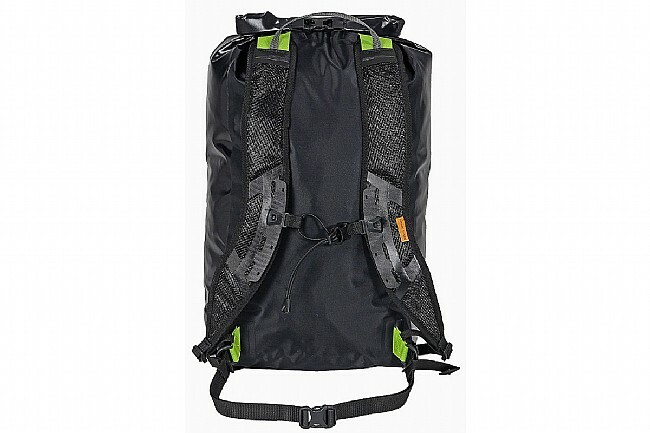 This roll-top backpack features an IP64 waterproof rating using an extremely lightweight nylon with air-permeable shoulder straps that let this bag pack down into a provided mesh sack for storage when not in use. Its compact yet functional design makes it the perfect companion when traveling or for carrying an emergency day-bag in your luggage or vehicle. Features a hand carry strap, a waist strap, and a removable chest strap. 25 liter capacity. 18.5" height x 10.2" width x 6.1" depth. Claimed weight is 290 g.